Not many know this, but I've actually been very interested in interior design and decorating for many years now. While I'm happy still living with my parents, I've been itching to get my own place. And it has mostly got to do with design independence -- so I can decorate a space of my own just the way I envision it. But for the most part of my life, I've been satisfied with tidying, tinkering and glamming up my little space in the house, a.k.a. my room. And for some of you who, like me, don't have a lot of budget to replace furniture, install new fixtures and make major design changes in your home, here's a simple tip -- focus on smaller details. Hanging twinkly fairy lights, putting up your favorite prints, buying chic pen holders... Actually, even just using a pretty decorative tissue box can jazz up a space! And here's a good news! 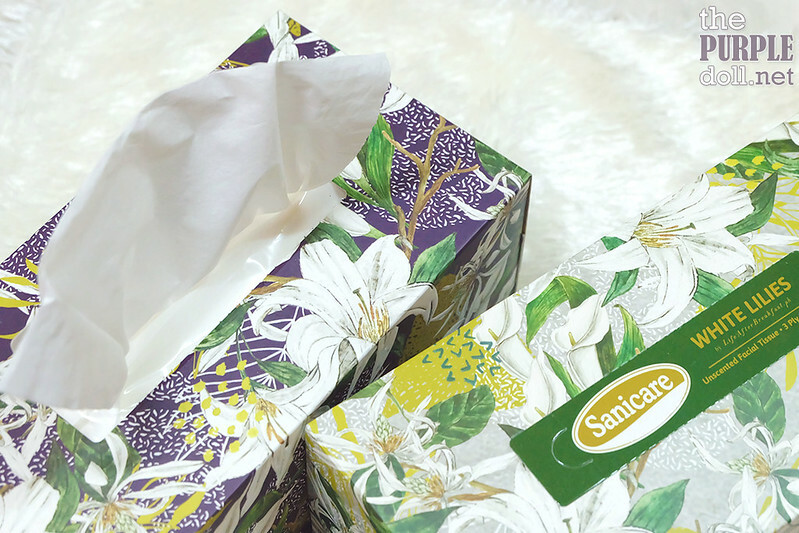 If you're like me who doesn't own a tissue box cover, Sanicare got us covered. No more dull and generic-looking tissue box out in the open for everyone in the house to see. 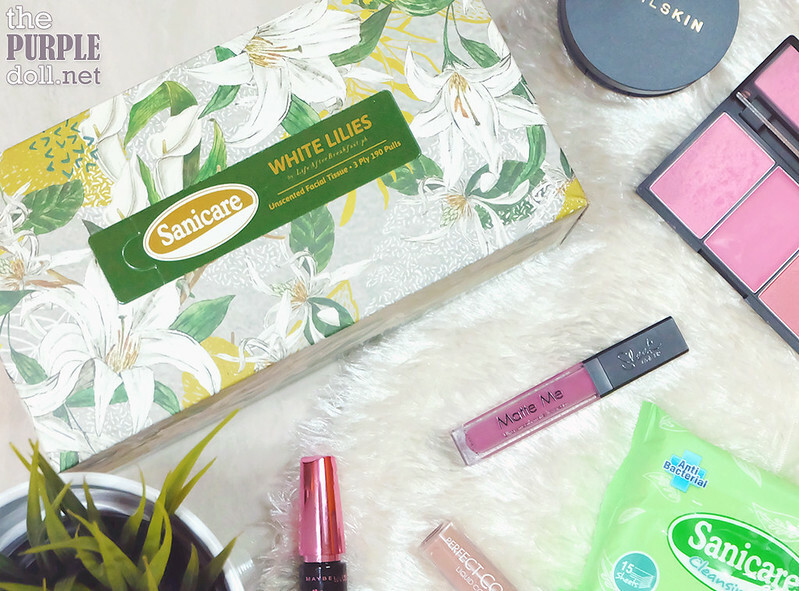 Next month, Sanicare will be rolling out their new White Lilies boxes for their 3-Ply Facial Tissues. With how good this new packaging looks, it'll surely be a nice accent on your vanity table, or even by the living room. 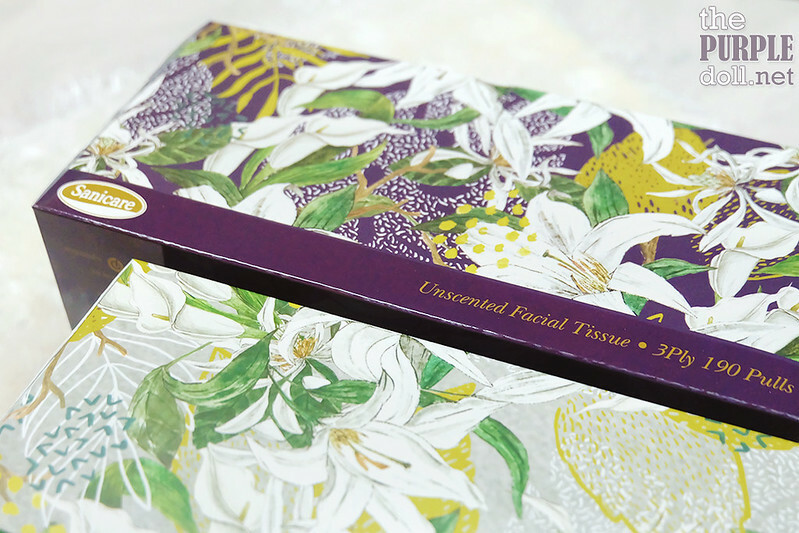 Symbolizing purity, the new Sanicare White Lilies are adorned with clustered Liliums, Calla Lilies and Champaca in a watercolor pattern created by local artist Alessandra Lanot of LifeAfterBreakfast.ph. There are two variations for the new Sanicare White Lilies: 1) a lighter variant with mostly whites and greens, and 2) a darker variant with mostly violet which makes the white flowers pop even more. 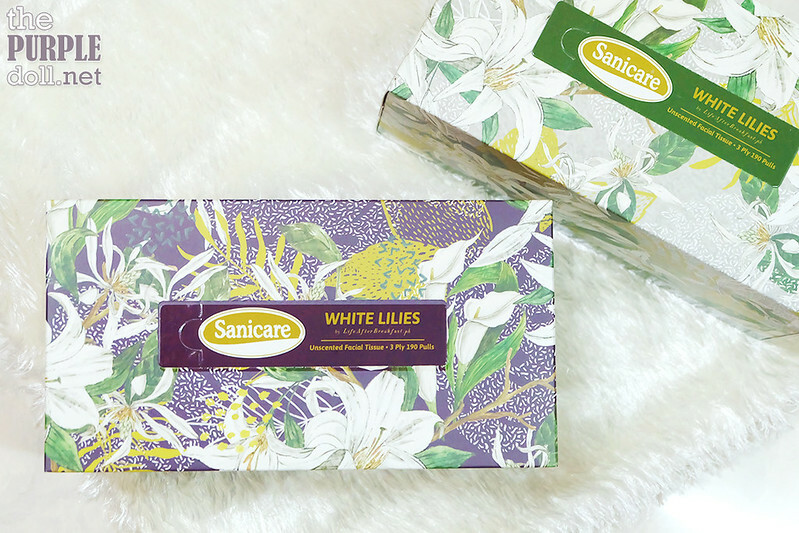 Sanicare White Lilies offers 3-ply facial tissues. So the packaging doesn't only look nice, but the actual product is very durable and great for any use. Actually, each pull of the 3-ply facial tissue gets multiple uses from me! From the 3-ply, I'd get 1 layer to blot excess oil after I put on my liquid foundation when I'm doing my makeup. Another layer I can use to blot my lip product with. And the last, I use either to wipe makeup mistakes or to dab excess product off my makeup brush. And those are just from 1 pull! 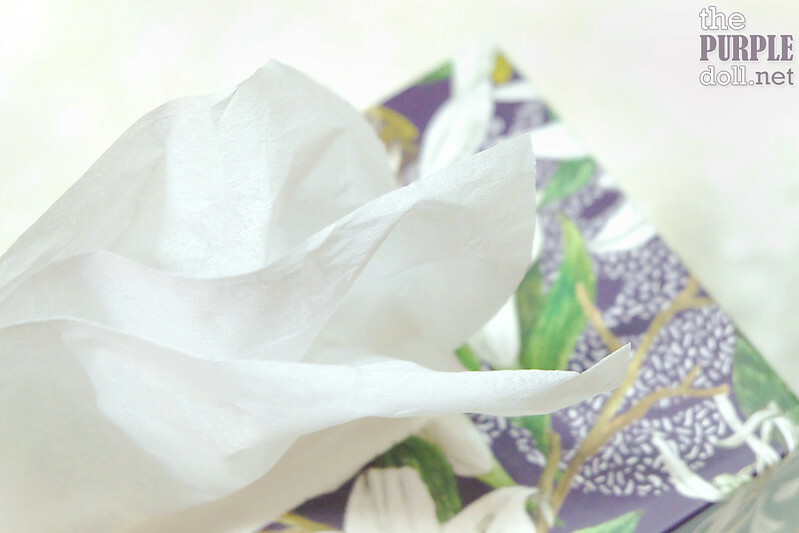 If you'll need to use these facial tissues for something heavier duty like on spilled liquid, I'm sure the Sanicare White Lilies will take care of the job just fine. Its 3-ply certainly makes it useful for different situations as its very durable. Not to mention, soft too as facial tissue should be. If there's one thing I learned from watching and reading interior design channels and decorating magazines, it's how there's always a way to combine style and function. Being functional doesn't mean it has to look ugly. And being stylish doesn't mean it just has to be there for decoration purposes. 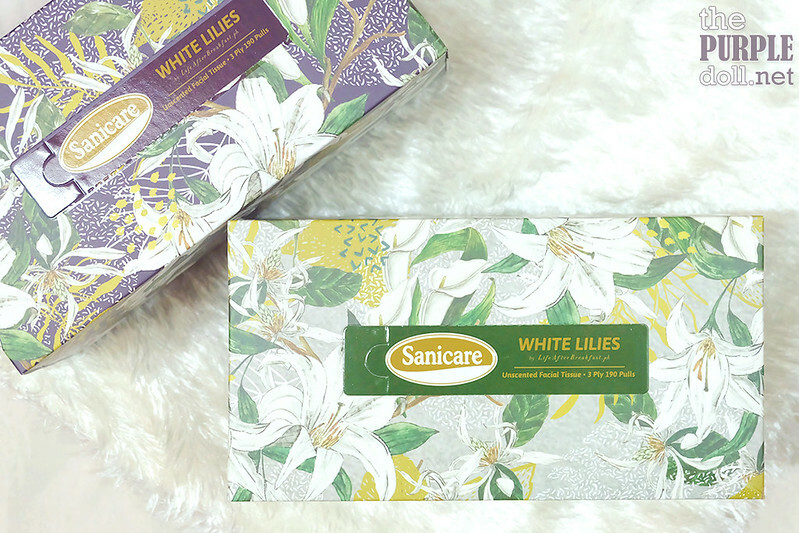 Sanicare White Lilies is proof that even the facial tissue you use can be elegant and add style to your home. No need to hide them in your drawer or dress them with a tissue box cover, 'cause these White Lilies are definitely worth flaunting! 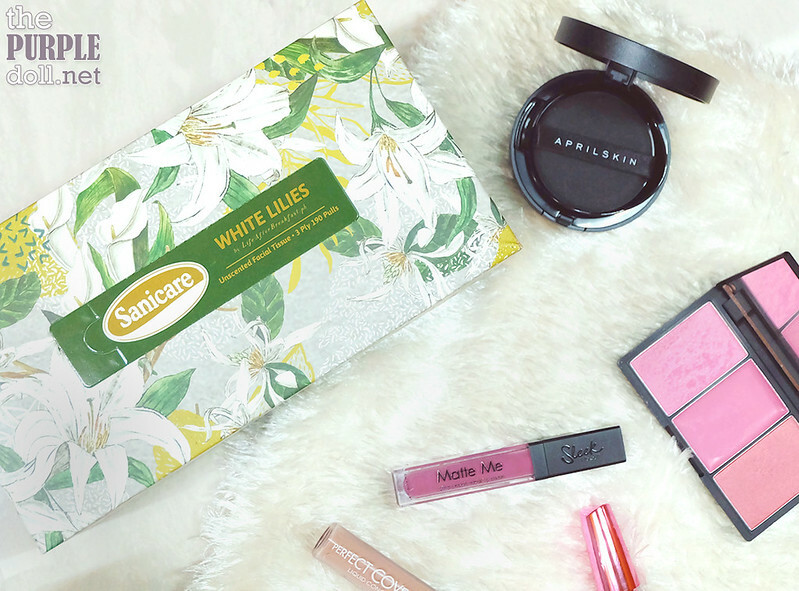 Make sure to snag a box or two (or even more) of the Sanicare White Lilies once they become available in the market this November.